Fortnite is the biggest gaming phenomenon of this generation. Like Minecraft before it, it captivated an audience so completely that its language and community began leaking into the wider world. Unlike Minecraft, Fortnite went on to consolidate its power by teaming up with the biggest film franchise of the generation to create an exclusive, limited time game mode. And it was the best event in the game’s impossibly popular history. Movie tie-ins are notorious in the games industry. In their heyday, they were made within an almost impossibly small time limit and budget, and were completely uninteresting to all but the most die-hard fans. And although that dark time has passed us, the stigma still remains. But Thanos was different. It looked good and felt better with thoughtful design that immediately changed the dynamic of Fortnite. It clearly wasn’t the cheap tie-in of old. Despite helping cement battle royale as a concept into the mainstream, Fortnite continues to be one of the most experimental games in the genre. From the evolving map to the steady stream of new modes and equipment, Fortnite constantly makes the player rethink their strategies and tactics. 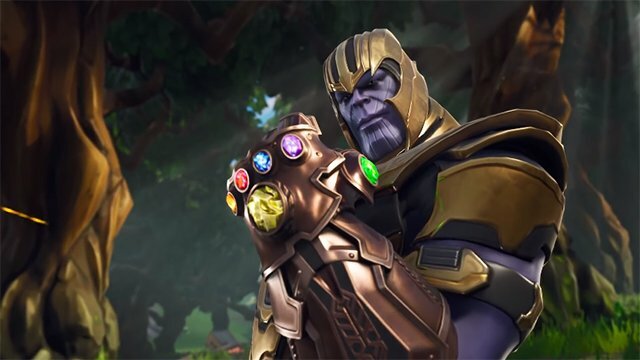 None more so than Thanos though, that dramatically changed the formula of Fortnite. Rather than just changing the team size or introducing a new weapon, Thanos was a new character. He created an asymmetric experience that fundamentally changed how players interacted within the game. The Mad Titan was a god-like creature, with a huge pool of health and the ability to traverse the entire map in seconds and kill a well-equipped player just as quickly. His arrival in any of Fortnite‘s arenas immediately transformed the agile and frantic combat into something quiet, reserved, and tense. In most modes, building is an important and effective means of defense, but with Thanos roaming the streets and the skies, they were nothing more than a beacon. I shot at other players more than once to trick them into building, knowing Thanos would spot the telltale structures forming. This also shows another special feature in Fortnite‘s Thanos limited time mode. Players could use Thanos himself as a tool for others if they knew what they were doing. Normal matches would see dozens of players rush each other as soon as they could. With Thanos, smart players kept their distance, allowing the Infinity Gauntlet to mop up the unruly crowd. 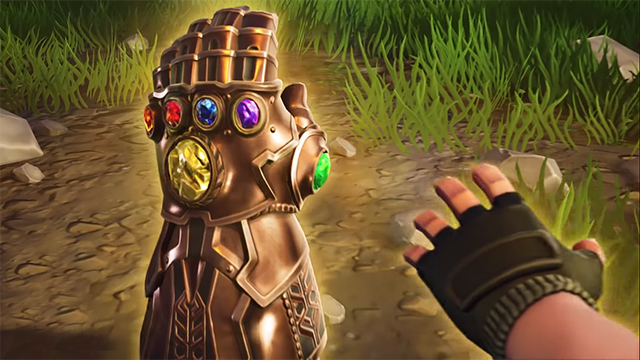 More than anything Thanos tempered the ambition of the players in Fortnite. His presence made the game more measured, with players weighing up their options more thoughtfully before committing to plan. Whereas a standard game would have players wildly fire at any enemy they spotted no matter the range, Thanos inspired caution. But then again, his presence also stirred the exact opposite. Thanos could be killed, with a bit of luck or some fragile teamwork, and would drop the Infinity Gauntlet upon death. While players thought his presence slowed down the pace of the game, others saw it as an excuse to fight a god. Knowing when was the right opportunity to strike Thanos and where the best hiding places were was new for the battle royale genre as well. The same goes for the fragile alliance that formed and quickly broke as players stopped attacking each other to lay waste to the Mad Titan. And all of this doesn’t even consider just how fun it was to play as Thanos. Although his ranged attacks were a little underwhelming, his physical poundings were almost always lethal. Leaping across the map in search of “ants” was a complete power trip. Smashing through buildings and defenses like butter was incredible and watching the pathetic humans flee before you was beautiful. But it wasn’t all so easy, without the ability to heal, the game quickly became tense as you struggled to close the distance needed to finish off over confident snipers and attackers. Whereas other modes were exciting and different, Thanos changed something more then mere team numbers. The thrill of the hunt and the hunted was delightfully refreshing and wonderfully tense. The change of pace, especially when it came to the player interaction was something different. It was an experiment that created a game more akin to the multiplayer games from the early 2000s like Alien vs. Predator, where the intentional imbalance made for some amazing emergent moments. 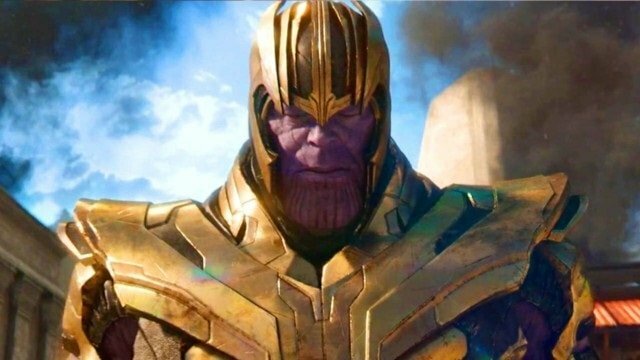 Fortnite should resurrect Thanos for the Infinity War sequel and find a way to bring it back permanently permanently.